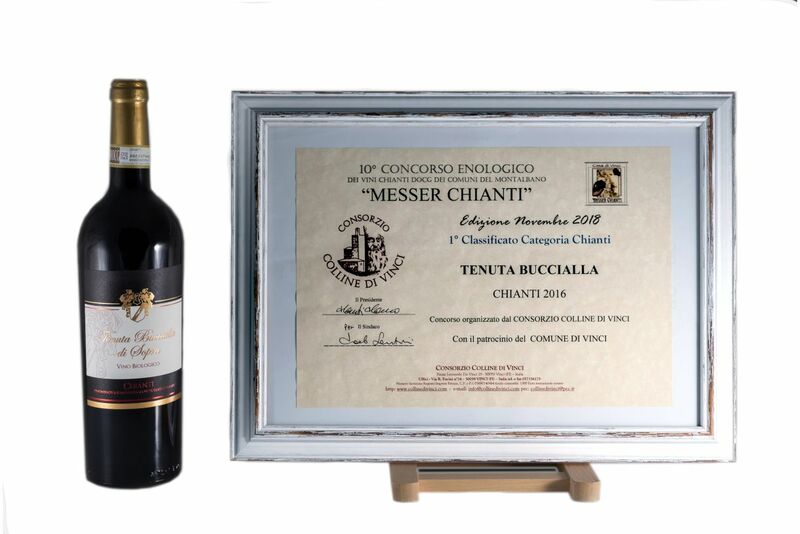 TENUTA BUCCIALLA DI SOPRA – Chianti D.O.C.G. 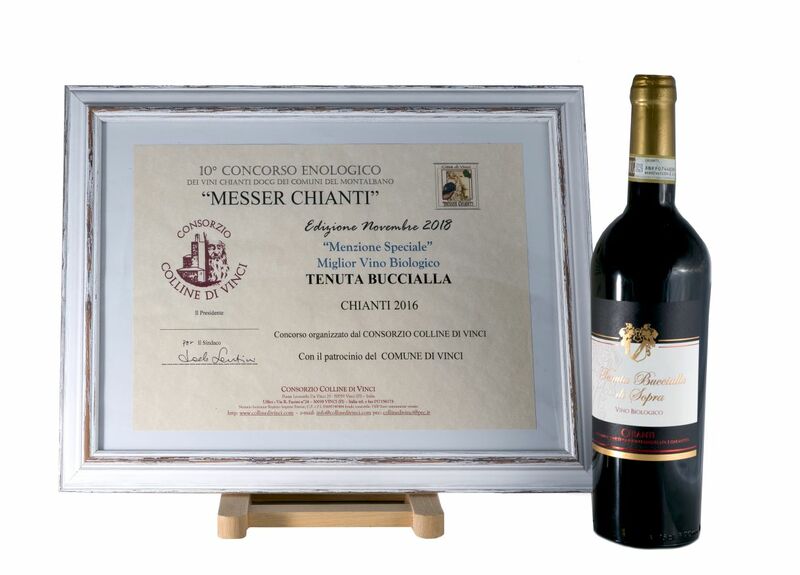 This wine is produced with selected grapes of Sangiovese,Ciliegiolo, Colorino and black Canaiolo from organic farming which are made into red wine at a controlled temperature. The harvest is late with a completed phenolic ageing . Land : Sediment al origins sands with stripes of clay. Altitude : From 90 to 150 metres above sea level . Vinification: Grapes maceration in cement tanks at a temperature of 20°- 22° C for about of 15/20 days. Selected yeasts with varietal characteristics are used for the fermentation. When the malo/lactic fermentation is over wine is put into oak barriques is for 3 months. Merchandising : About 4/5 months after the bottling . Visual Test : Bright ruby red with strong shades of purple, good presence of “arches”, for a good alcoholic content and persisting . Olfactory Test : Fresh red fruits such as plum, strawberry with strong scent of cherry, blackcurrant, soft fruits and blackberry. Strong intensity and persistency. 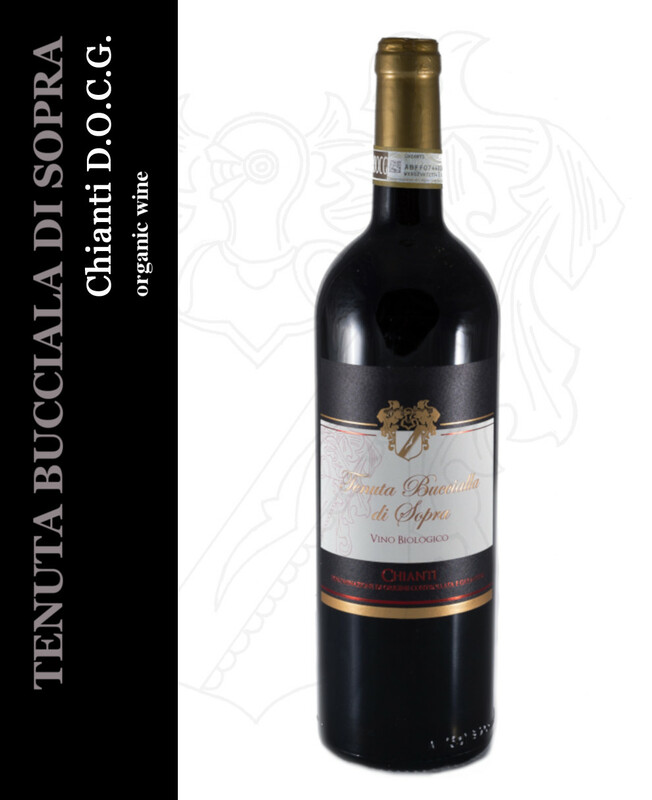 Taste Test : Dry, Warm soft, pleasant well-balanced wine with vithout any aggressiveness notes .